Homepage » Free Crochet Patterns » [Free Pattern] This Lady Bug Is Just Too Sweet! [Free Pattern] This Lady Bug Is Just Too Sweet! The story says Ladybug or Ladybird spirit animal brings luck. Could be the reason why they are so loved everywhere in the world or maybe is just the fact that they are so beautiful so red with those little black spots on the back. This Ladybird by Hayley Wright is really cute and the perfect size for a toy. Makes a lovely present or a great decoration object, for a special place in your room. It ends up being approximately 7cm in length by about 5cm in height, by about 7 in width. You will need a 3.5 mm crochet hook, red and dark grey yarn, a yarn needle, 2 safety eyes, a pair of scissors and a love for a little lady bug!! Thanks to Hayley Wright for the article inspiration and featured image. 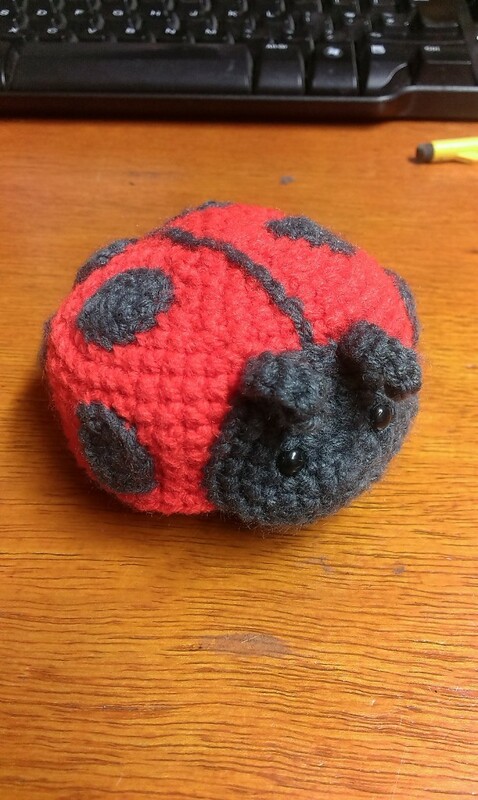 8 Comments to [Free Pattern] This Lady Bug Is Just Too Sweet! Can you crochet Hailey Grant?